High quality polyhemp straw gives sturdy support. Plenty of ventilation. Comfortable leather inside headband. 2 Tone Herringbone weave. 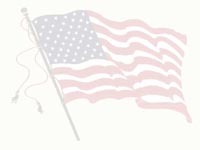 Patriotic Red,White and Blue hatband. 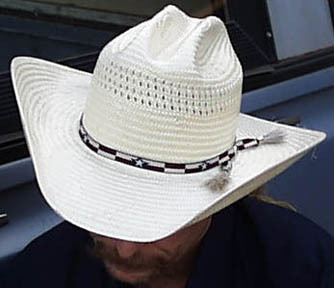 This hat brim can be rolled high and crimped as seen on VH1 or left in this popular rodeo style.